What is your affiliate marketing daily learning calendar? If you are getting big obstacles from affiliate marketing challenges, every month you might schedule your 30 days visiting 30 successful celebrity affiliate marketing blogs to change your life. Why? You might know that affiliate marketing is a place for the epic tellers and strategic marketers. Most perhaps you are striving to achieve these qualities around your niche. But, how your startup could be run through a unique style of telling the passive stories about your product that could be able to build a sustainable fascination within the sales funnel? How your marketing strategy could be mastered for significant leads and conversion? What is the simplest way to influence the audience to the ultimate customer? Are you in a question-jam headache (!) not finding satisfactory answers! Well, since you’re getting a lot of passion on your startup, rest of all you’ll require a bit promising patience because no one could come up his/her successful front without paying enough cost of persistence. In this write-up, I’m raising the top affiliate marketing blogs you might look for your replies or styles or practices for your daily business development further. How much you could acquire the applied techniques from these big factories regarding making money through affiliate marketing is a big matter of your organized learning as well. This is a famous affiliate blog by Jerry Shoemaker, the second top most influential of the TOP25 Affiliate Marketing Minds of 2014. This blog advises you a success formula “Do not chase the money – Chase the passion”. This blog is run by John Chow, famous Blogger, Speaker, and Entrepreneur, who is also a 3rd top influential of the TOP25 Affiliate Marketing Minds of 2014. He is an author of “Make Money Online: Roadmap of a Dot Com Mogul” selling on Amazon. Operated by Shawn Collins, co-founder of “Affiliate Summit”, the famous writer of some best selling books in Amazon, wrote on affiliate marketing. He is 3rd top influential in the affiliate marketing universe. Missy Ward, who is 5th influential in the affiliate marketing world, runs this blog. She co-founded “Affiliate Summit” as well. She is also the founder of AffiliateMarketersGiveBack dot com and operates some other successful own niche affiliate websites. Charles Ngo runs this blog, who helps people learn how to make money smartly without hard work in affiliate marketing. He claims his free materials could able to meet the 99% of the paid courses in the digital market. So, shouldn’t miss finding his best advice in his affiliate-worthy blog. This blog is run by Luke Kling, a personal blog, he shares affiliate marketing and his other interests to seriously help other affiliates and entrepreneurs make more money from affiliate marketing. 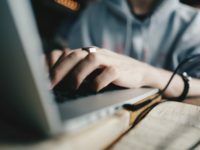 An impressive blog by Finch, Landon, who is a high school dropout, but writes huge profound write-ups that could able to provide you something for making big money. He’s ready to show you the ways how could achieve it. Evgenii “Geno” Prussakov runs this resourceful blog, who is a graduate of the University of Cambridge. He is an award-winning affiliate blogger, marketing consultant, author of many books, international speaker, CEO of AM Navigator affiliate management agency, and so on. Do you feel to miss his leadership affiliate blog? Brian Littleton, CEO of ShareASale maintains this blog to encourage engagement in free discussion. Affiliates could find useful strategies and, tip lesions there. Eric Nagel runs this blog, who was speaker of Affiliate Summit and is “Affiliate Summit” Pinnacle Award Finalist, Affiliate of the Year 2014. 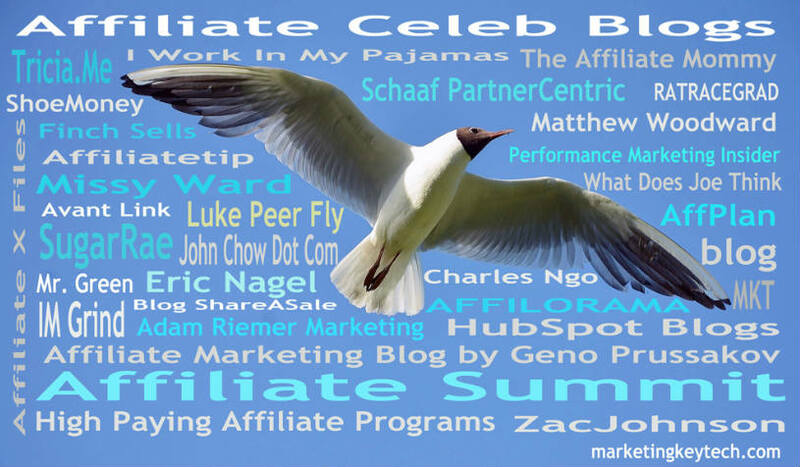 Adam Riemer helps all affiliates through this blog, as he says “Affiliate Management – What Makes Me Different”, you might really come to know him accordingly. His cooperative window (such as skype and email) is open for all. It runs with the HubSpot Partner Program, the world’s biggest blog site carries a profound impact on the bloggers’ society as well. I read and feel its upper value, you might find the same interest and ideas from this blog to improve your blogging performance. Bill Burniece runs this blog that deserves to draw extra attention to the newbies due to the issuance of “How to Start An Affiliate Website in 3 Easy Steps” and ” Affiliate Marketing For Beginners”. So, starters shouldn’t miss to read this blog and feel free to ask him any question as well. Affilorama is a famous brand of affiliate marketing founded by eminent affiliate marketer Mark Ling in 2006. Mark is famous for his state-of-the-art affiliate program ‘step-by-step video lessons’ in Affilorama, which has acquired over 250,000 members’ community. Now he offers introductory free video lessons, efficient tool and comprehensive training as well. According to the goal of Affilorama, every affiliate must be enabled sooner to find own success in affiliate business minimizing all obstacles, skill or experience is no matter. You might take a life-changing chance in their great offer. Zac Johnson nurtures his personal blog for us, who has 18 years long experience as an entrepreneur. He sincerely welcomes you to his blog and takes part in further interactions. You might be beneficial for his practical oriented stuff. Ron Cripps writes this blog with a slogan “Saving You Time And Money” since 2001. His dedication goes through his blog to the starter affiliates so that they could drive their business successfully. If you are a beginner, his blog is must read for you. Famous blogger Rae Hoffman is the owner of the blog “SugarRae” which is really full of affiliate juice value that capable of drawing the new ants of affiliate marketing. She shares the various issues of affiliate marketing, SEO, and social media prominently. Mr. Green at his 24, starts this blog of Affiliate marketing to document his real work. Now it is really one of the best internet marketing websites with marketing guides and case studies. Tricia Meyer runs this blog “Tricia.Me” is a work at home mom. This impressive affiliate marketer is a consultant and lawyer as well. She makes money with various blog sites, including a rewards site called Sunshine Rewards. She loves what she does. You might find many precious things visiting her site. Ryan Gray and Ralph Ruckman run this blog ‘IM Grind’ mean Internet Marketing Grind. They both run multiple other successful online business and impress you to do the same as well. They advise you to learn from their blog how making the lead generation, how to own and operate a winning affiliate marketing business. Kim Rowley, a work-at-home mom is a famous personality in affiliate marketing who runs her blog “ I Work In My Pajamas”. She got Affiliate Marketing Legend Pinnacle Award at Affiliate Summit. Many precious affiliate thoughts including ‘Affiliate Marketing 101’ she shares on her blog you must not miss visiting. “What Does Joe Think” is run by Joe Sousa, you might visit his blog to get any help of affiliate marketing because he is ready for a book to ask him and read him anytime. Using his blog, you could learn things ‘what a motivated blogger’ and ‘successful affiliate’ as well. Jennifer Bland writes this blog, who started her affiliate marketing journey after a pretty long Internet Marketing experience. Her internet marketing reports could help you to be encouraged in the online stopping your rat race. This blog is run by Schaaf-PartnerCentric, an affiliate marketing experts’ program management house, whereas Brook & Forrest Schaaf, are founding partners. This blog was selected One of the Top 25 Blogs in Affiliate Marketing 2013. It is a publication on interactive Performance Marketing, Affiliate News & Advice, run by Pace Lattin. You could find something precious for your affiliate marketing business, whereas 45 thousand readers read through the newsletter. Matthew Woodward writes this blog for the affiliate marketing enthusiasts to teach SEO, link building, Traffic creation, conversion rate optimization, so on. He publishes quality tutorials and case studies as well. He encourages you to ask him a relevant question anytime. Jesse Morgan, a cool mom, but marketing maven writes this blog could provide you enough categorical resources to enrich your affiliate marketing business. You might be learning following her blog that how to reach customer understanding their variable demand and behavior. ‘AffPlan’ is founded by Todd Farmer, who is a long experienced and a real lover of this affiliate marketing industry. You have profound scope to enrich your affiliate business learning from this blog. How to approach your read on these resourceful affiliate marketing blogs? Stay with their post updates via newsletters. Pick their precious free offers, such as e-training, e-tools, e-books, so on. Keep visiting them frequently and read their success stories. Never miss learning their personal biography to fuel up self-encouragement. Never forget to follow their social approaches. Ask them, as they are the enthusiast to find you any relevant question. If there is scope to comment or write, never hesitate to get advantages of higher authority link. Get a sound compare regularly with your daily learning improvement. Keep in touch these famous front line affiliate marketing blogs & bloggers with your patient read to deserve your epic style of affiliate marketing blog. I’m sure through these blogs you could be able to discover your new horizon. Get a happy affiliation. Hii, Your information is very usefull and clear. Actually I have an affiliate program to earn money online without investment, you can join it easily with 2 minute sign up only. So join it & get more profit.